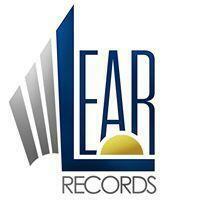 Providing customers with the professional recording equipment used by signed recording artists, Lear Records produces vocal and instrument records. Since 1998, Founder & CEO Michael Young Bey&apos;s passion for producing music and working with artists has moved him to invest in not only the right equipment, but creative artists with a vision to develop their skills. Using his own personal experience with recording studio producing, Michael moved on to obtain a degree from Full Sail in Audio Engineering. From there, Michael began to invest in professional recording equipment after proper research and training with modern technology and tools. In 2004, his first recording studio opened, servicing recording artists in New Jersey and New York. Now opening up his studio to the public, Michael applies professional management training and invests in new artists on a personal level to help them develop their talents and create outstanding records.